The nurses assigned to Dzhokhar Tsarnaev at Beth Israel Deaconess felt ambivalent but duty-bound to care for him. The 29-year-old trauma nurse was on-call at home, unwinding in front of a “Friends’’ television marathon on a Friday night. She had been ministering to patients horribly injured in the Boston Marathon bombings and craved a distraction. But she couldn’t resist flipping to the news, and as she did, police surrounded Dzhokhar Tsarnaev, cowering and bloody inside a parked pleasure boat. A nursing supervisor told the young woman to hurry into work. She didn’t know it yet, but within hours, she would be one of Tsarnaev’s bedside nurses, soothing the accused terrorist’s pain and healing his wounds — just as she had done for some of his victims. At the hospital, the head nurse sent her to prepare Tsarnaev’s room, ushering her into a confidential fellowship of nine trauma nurses. They were required to show identification and let police search their purses at up to four separate checkpoints to reach Tsarnaev’s heavily guarded room in an intensive care unit where all of the beds but his were eerily empty. While Boston residents celebrated upon watching Tsarnaev’s capture at about 8:45 p.m. on April 19, the trauma nurses could not exhale. For them — and for the hospital, which also treated 24 bombing victims, some on the same floor — an extraordinarily draining six days were just beginning. 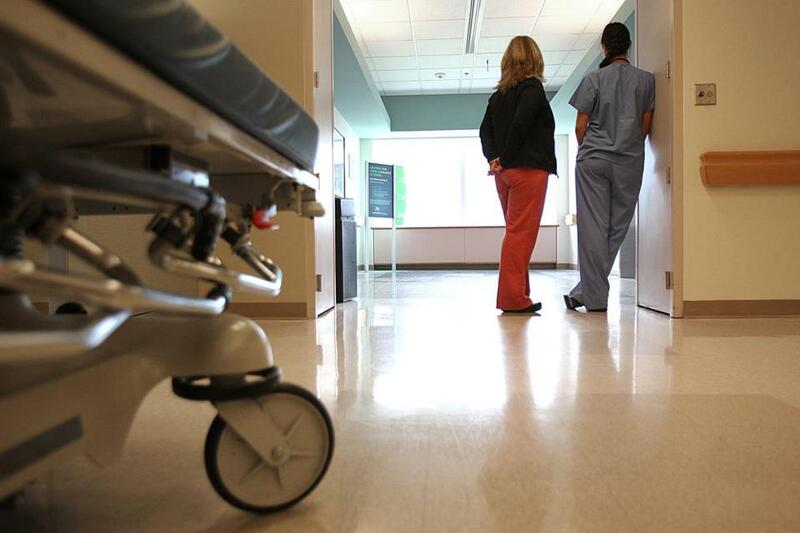 All of the nurses asked by supervisors to care for Tsarnaev agreed, the hospital said. The Globe interviewed seven of them, and all said that the ethical bedrock of their profession requires them to treat patients regardless of their personal history. They are sometimes called upon to nurse drunk drivers, prisoners, gang members, but this assignment was the ultimate test of Florence Nightingale’s founding ideals. One of the nurses, who agreed to be identified by her middle name, Marie, arrived on her regular unit about 7 a.m. Saturday. “Don’t put down your bag yet,’’ the nurse in charge said. Marie burst into tears. She had been locked down at home with her children the previous day during the manhunt for the suspect, and she was already tense. “You don’t have to do this,’’ her supervisor said. “I did it because I’m a nurse and I don’t get to pick and choose my patients,’’ Marie said. From then on, supervisors called the trauma nurses assigned to Tsarnaev ahead of time so that they could prepare themselves mentally. The nurses said they were proud of the care they provided the suspected bomber, whose condition steadily improved, and of their role in preparing him to face justice. Tsarnaev is now at the Federal Medical Center Devens at Fort Devens, a former Army post. Still, many felt ambivalent, especially between shifts. The nurses, who were interviewed in groups at the hospital, did not want to be identified — although some agreed to use middle names. They are afraid of the reaction from some members of the public, particularly after the disruptive protests at a Worcester funeral home that arranged the burial of Tsarnaev’s brother. A few are surprised they feel guilty for doing a good job. Some drew an emotional line when caring for Tsarnaev that they normally don’t with other patients. One nurse, who usually talks to patients about current events to create a rapport, stuck to medical questions. While moving Tsarnaev one day, another nurse, Irene, reflexively said: I am really sorry “hon.’’ It’s the sort of thing nurses say dozens of times a day to other patients, but it felt weird with an alleged terrorist, she said. Afterward she and Marie made a pact. They would alert each other if either used an endearment, so they could stop. Some nurses said they felt no sympathy for Tsarnaev. He and his older brother, Tamerlan Tsarnaev, are believed to have planted two bombs that killed three people and injured 265 as spectators cheered runners to the end of the world-renowned race. Tamerlan Tsarnaev died after a shoot-out with police in Watertown on the night of April 18. With the brother still on the run the next morning, Governor Deval Patrick asked metropolitan Boston residents to hunker down indoors and businesses to close. 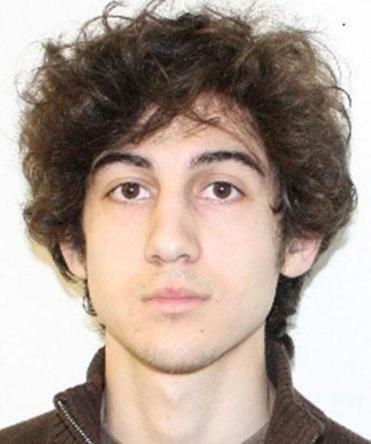 When police arrested Dzhokhar Tsarnaev in a backyard in Watertown, he was bleeding from gunshot wounds. An ambulance rushed him to Beth Israel Deaconess because it was the closest Level 1 trauma center, Boston Emergency Medical Services said in a statement. As the ambulance pulled up outside the emergency department on the hospital’s west campus, surrounded by police vehicles, the Norden family watched from a fifth-floor ICU, where Paul Norden, whose right leg had been blown off by one of the bombs, was recovering. Initially, his mother was upset. “I thought, why does he have to come here, where so many of the people who were hurt are,’’ Liz Norden said in an interview. The hospital anticipated the victims’ families would be distraught, and a number complained about Tsarnaev’s presence on the sixth floor, just down the hall from some of the injured. Liz Norden spoke to a nurse, and a hospital social worker called her at about 3 a.m. to explain that Tsarnaev would not be near her son, but one floor above. Later, one of Paul Norden’s doctors talked with her about the Hippocratic Oath taken by physicians that required them to do their best to save any patient’s life, including Tsarnaev’s. Soon, however, Paul Norden was moved to a sixth-floor trauma unit, where hundreds of get-well cards from American schoolchildren still cover the walls. It was unsettling to walk by the heavily guarded ICU on the way to and from her son’s room, Liz Norden said, but caregivers were exceptionally kind to her family and the medical care was above reproach. During their shifts, the nurses would have monitored Tsarnaev’s breathing, heart rate, and neurological status every one to two hours. They would have checked his wounds for signs of infection, asked about his pain, and administered medications — all standard ICU care. Privacy laws prevented the nurses from discussing Tsarnaev’s specific medical treatment during the interviews. The nurses chatted with FBI agents about baseball (some of the agents were New Yorkers and avid Yankees fans), restaurants, and vacations. The agents, who grew jumpy when monitors tracking Tsarnaev’s vital signs beeped loudly, were stationed in his room, while Boston and State Police guarded the perimeter. When the nurses left the unit after their 12-hour shifts, they said, they did not talk to anyone about their day — not even spouses. They shielded themselves from news reports — and often from acquaintances and friends — because they did not want to hear the outrage against Tsarnaev and were afraid of unwelcome curiosity about their work. Beth Israel Deaconess chief executive Dr. Kevin Tabb said that while the unwelcome experience of caring for a suspected terrorist is new to American caregivers, it is more common in Israel. Tabb worked for more than a decade at Hadassah Medical Center in Jerusalem. Nurse Julie Benbenishty, director of trauma at the Israeli hospital, said terrorists are not separated from other patients there, even if they are victims. In Israel, she said, caregivers are open about their role, perhaps because they are more toughened to the criticism. The greatest source of solace turned out to be confiding in one another.